This eye-catching statement top comes with an embroidered trouser that can easily be paired with other looks too. Tousled waves and dewy skin are the only two things you need for this floral statement look. 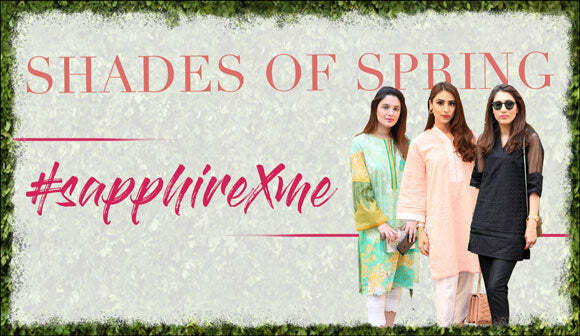 Perfect for the woman on the go- Sapphire Daily line comprising a wide spectrum of colors, embroideries and prints makes dressing up for work, class or errands a fuss-free and enjoyable experience. Make an impression, every day with this selection of key pieces.